When importing some new images, I found myself being confronted with some very harassing messages, urging me to clean up my "flash storage". My poor old Mac of 1.5 years (thats a joke) has been starting to get a bit too jam-packed and was definitely in need of a cleanse. I have one of those handy G-Drive external memory plugins, so after a full backup, I reluctantly went into my iPhoto and began to send the 3000 photos to the trash. Most of my pictures and videos are taken at 24 megapixels and take up a pretty good chunk of space. 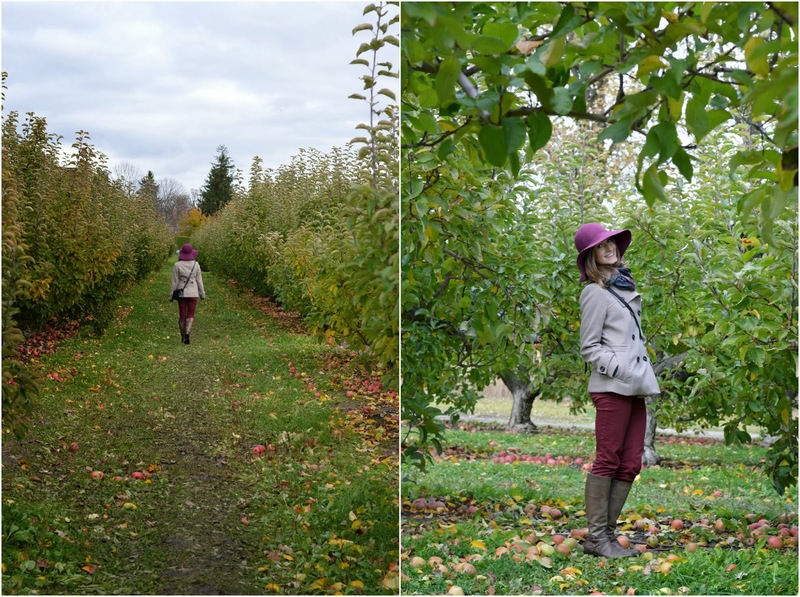 The browsing soon became a very sweet trip down memory lane, especially when I stumbled across some snapshots taken while apple picking earlier in the fall. Clothes from H&M, except for my scarf and boots, both of which are label-less. The trees at this particular orchard were quite low to the ground, serving for easy picking. Looking back, my burgundy outfit pieces made for a very nice contrast with the bright green trees. Ahh, the ground with no snow. Hopefully only one more month to go. My favourite part of this classic fall outing is trying to find the cutest apple of all. Although this one wasn't necessarily the smallest, it did look pretty appealing. It also tasted just as delicious. A winner, in my books. Naturally, I had to stop at the small petting zoo. See the play-by-play below. 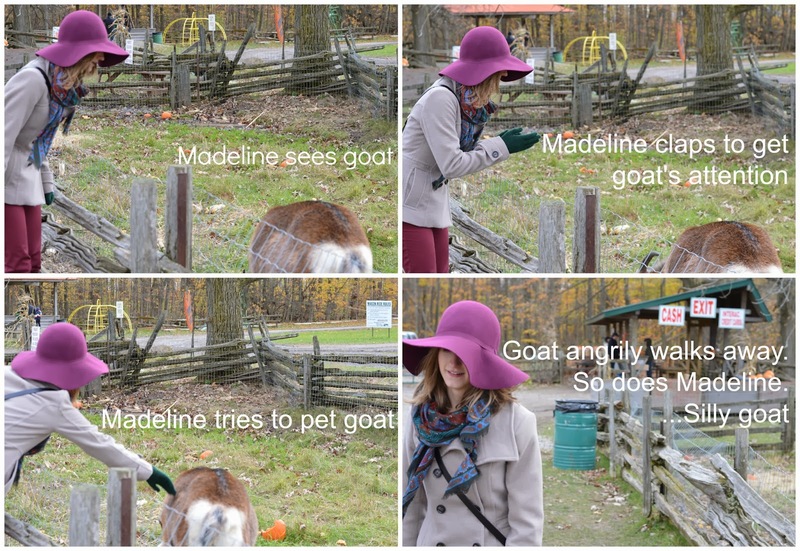 Lets just say I'm not meant for the petting zoo life.